The house is not available during 25.6.19-26.08.19. 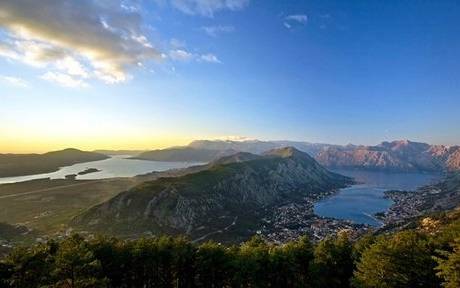 Swap or points possible in perod wehn is most beautiful time to visit Montenegro, without crowd: Maj, partly June, End of August, September and Oktober. Beautiful, comfortable and lovely sea view holiday home, with magnificent balconies located in peaceful bay Kruce, close its lovely beach, only 2-3 min by walking, in the green and between towns Bar (17km) and Ulcinj (10km) and 55 km off popular and dynamic place Budva. 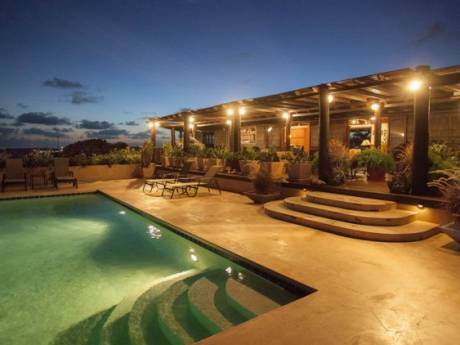 The house is on three level, with approximately 250m2 of space. Beautiful, comfortable and lovely sea view villa Neda, with magnificent balconies located in peaceful bay Kruce, close its lovely beach, in the green, only 2-3 min by walking, in the green and between towns Bar and Ulcinj, 55 km off popular and dynamic place Budva. The ground floor has two bedrooms and a bathroom with a small second kitchen. On the first floor is the main living area with well-equipped kitchen and a large lovely terrace with a beautiful view of the sea in the shade of oak trees. The second floor have 3 bedrooms with bathroom and exit from every room in large beautiful terrace. Villa has plenty of outdoor spaces to enjoy. The terraces and balconies are furnished with comfortable outdoor seating. Swimming pool is 9x4m and has 2 hydro massage, depth of 155cm. Pool is secured with metal bars (for children safety) and in funktion in period 15. June - 30. September. Garden is on tree levels (chidren area, area with sun loungers, green area) and about 500 M2 space. Parking place is near house (for two small car). The parking is not suitable for mini bus. If you need a bigger parking space, please let us know, we can find it in the vicinity up to 150 m from the house. We are 5-member family living in Germany. Aleksa is a lawyer and Ceca work as an accountant. Our three daughters are 10, 14 and 16. Village Kruce: Kruce bay is a Tourist and weekend resort, small and quiet place, located about 15 km south of the port city of Bar, and 10 km up to historical Ulcinj. The sea water here is very clean, beach is natural, pebble (gravelly), 600 meters long. Notice: we recommend to use plastic sandals for easier entrance into the sea. Place is ideal for quiet and relaxing holiday. Location is good too for people who want exploring of Montenegro. Several national parks and other attractions can be reached with half-day or day trips. The modern and vibrant port city of Bar, with shopping malls, bars, cafes and a beautiful beach promenade is just a few minutes by car (17 km). Budva, Montenegro´s main destinations is far 55 km from this private accommodation and offers the best selection of restaurants, cafes and night-life on the montenegrin coast. Easy Jet, BA and Thomsonfly all fly to Dubrovnik in Croatia. Wizzair, Ryainair, Eurowings to Podgorica or Tivat. With border crossing and ferry the journey takes about 3 hours from the airport in Dubrovnik but the flights are cheaper. From Tivat airport jorney takes about 2 hours. Car hire: All airports have car hire.